Iceland, a little, volcanic paradise and at the same time a glacier heaven in the North Atlantic is a place like no other. This unique, ecological haven is a must visit for any nature lovers or those looking for an escape from the Europe. Reykjavik, the capital of the Iceland has a reputation, which is deserved, for being expensive. Usually a main dish starts from 2500 icelandic krona. 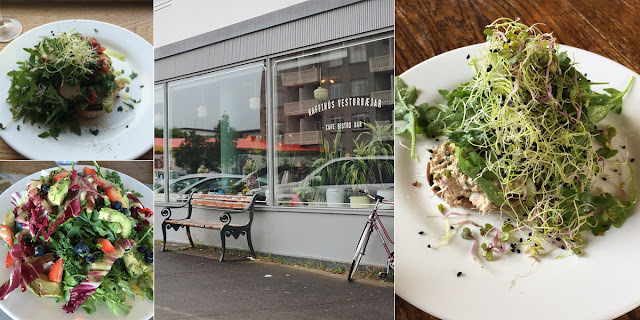 There is only one %100 vegan restaurant in Reykjavik, but this beautiful city is very vegan-friendly, with many restaurants incorporating vegan dishes on their menus. Today, there is hardly an Icelandic dining establishment that doesn’t offer one or two vegan options on their menu. You can also find a lot of vegan product at grocery stores in Reykjavik. Stores have hundreds of imported vegan products from around the world. Bonus, Hagkaup , Netto and Kronan are the most visible grocery stores in Iceland. Bonus is always Iceland’s most cheapest grocery store. With the large selection of food item, Hagkaup is the only chain of upscale hypermarkets in Iceland. 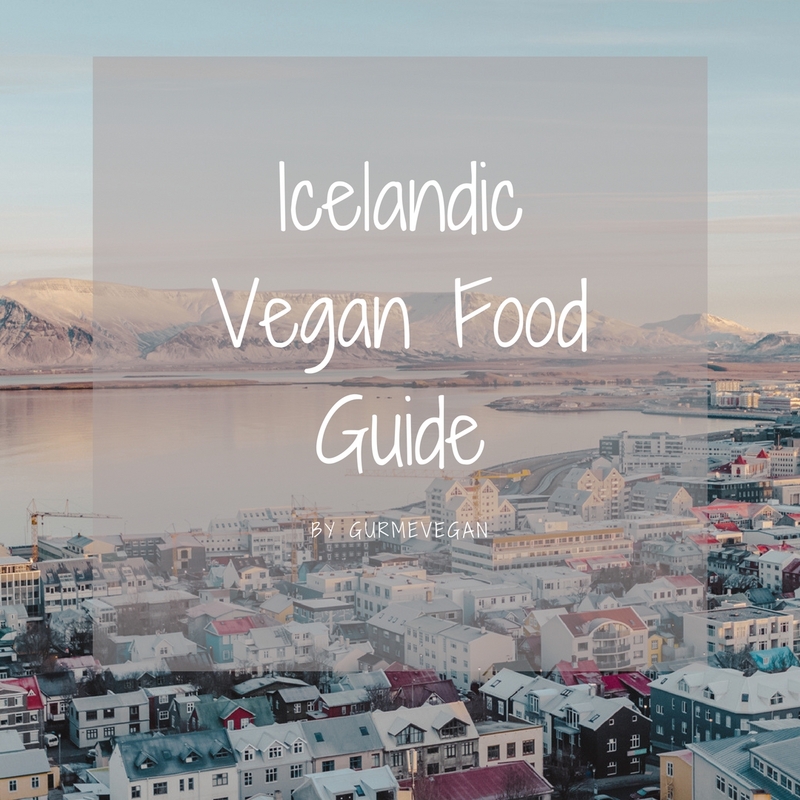 Ichoc, follow your heart, veganz, violife, sojade, eatreal, biona, vivani, provamel, anamma, hälsans kök, rapunzel are some vegan brands that are sold in Iceland. Kaffi Vinyl is the only completely vegan spot in town. This retro designed restaurant is located on Hverfisgata, 76 in Reykjavik. They offer a lot of vegan meal such as lasagna, burger, pizza, salads, pasta, sandwiches, humus, oumph, desserts and more. You can also drink a good coffee with plant based milk. A wonderful italian restaurant in Reykjavik: Rosso Pomodoro is located on Laugavegur. You can eat the best pasta in the town! Spaghetti al pomodoro without cheese is our favorite. Their aim is to make it easy for busy people to discover and try new, exciting healthy meals that enrich the mind, body and spirit. 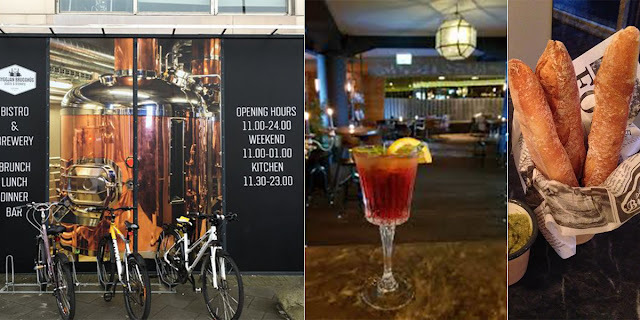 There are four different concepts of Gló restaurant in Iceland. 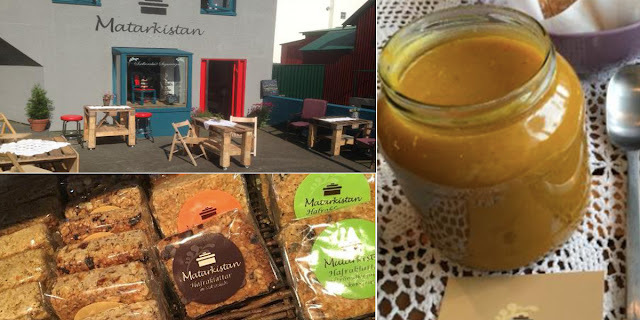 Visit on Laugavegur 20b or Hæðasmári 6, 200 Kópavogur in Reykjavik to see vegan options. Gló in Kópavogur is located next to Smáralind shopping mall.You can try out their legendary vegan spinach lasagna here. They say that named our restaurant “Kryddlegin Hjörtu” which translates as “Seasoned Hearts”. We chose the name because we put our heart & soul into preparing your meals with the best ingredients Iceland has to offer. They have salad and soup bar, it is good place to eat fresh and organic greens. Prices for the salads start from 2690 icelandic krona. This restaurant is located on Hverfisgata 33 in Reykjavik. Kaffi Gardurinn is located on Klapparstíg 37 in Reykjavik. 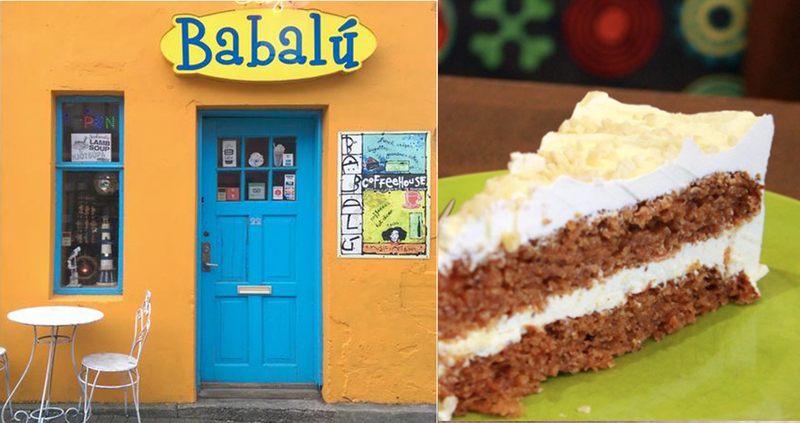 They offer daily changing menu and have the best vegan desserts and raw treats. Besides these sweet things, you can find delicious vegan soups here like portuguese white cabbage soup, beetroot soup w/coconut milk, carrot and tomato, lentil, lime & coriander soup and more! 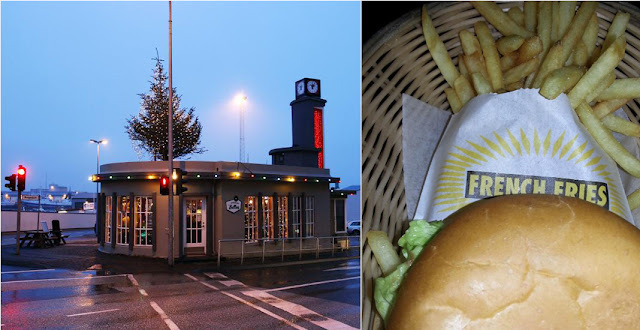 This burger joint is located on Geirsgötu 1 in Reykjavik. They offer delicious fried veggie patties and vegan burger. 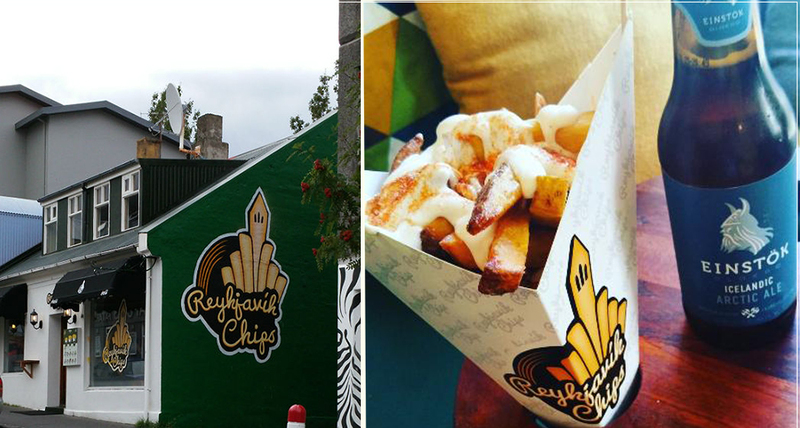 Reykjavik Chips is located on Vitastígur 10. They offer delicious french fries with vegan sauce called Hnetan, which is a vegan cashew cheese base with a sweet and salty satay peanut flavor. Don’t pass this place, it is really delicious! 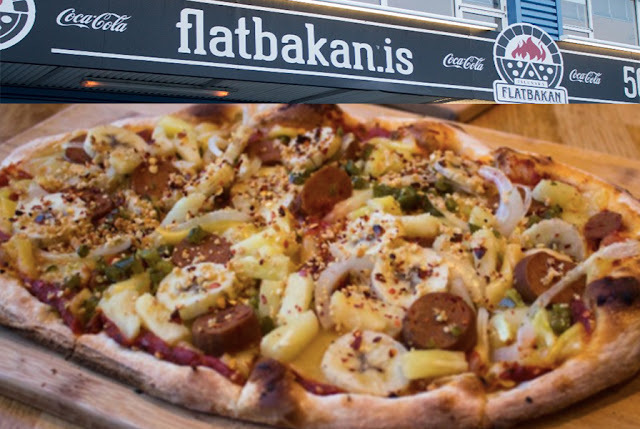 Flatbakan is located on Kópavogur in Reykjavik with a cozy atmosphere. They offer clearly marked vegan options. Don’t be turned off by the interesting toppings on the pizzas. You’ll be pleasantly surprised how tasty it is! Plus great service and very friendly staff. We recommend that you try any vegan pizza on the menu and have the base a sourdough. 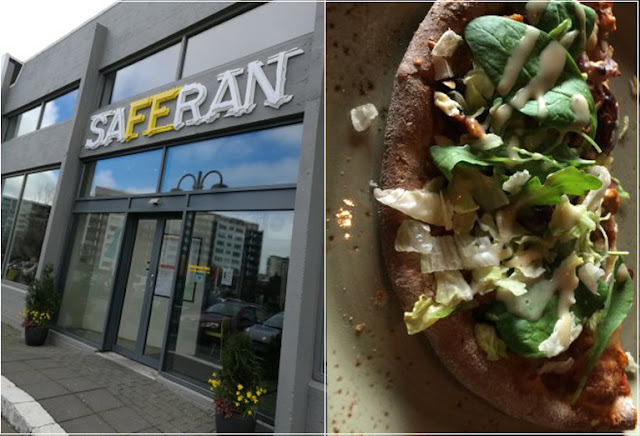 Saffran offer delicious vegan pizza options with vegan mozzarellla. It is really delicious. There are a lot of locations in the city. It is located at Nordic House on Sæmundargata 11 in Reykjavik. 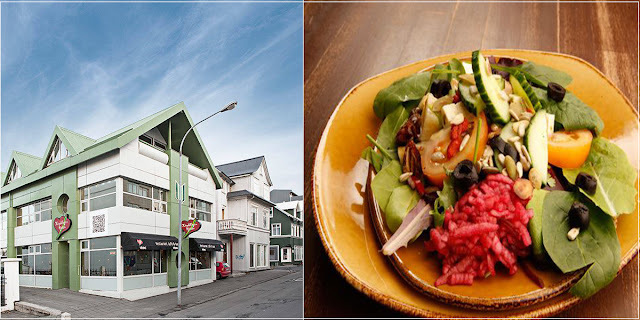 They offer wonderful menu with 3 creative vegan options by famous chef Sveinn Kjartansson. You can find vegan cheese, icelandic mushrooms, pumpkin burger and more here. They don’t have any vegan dessert. Visit here for an elegant dining experience. Coocoo’s Nest is located on Grandagarður 23 in Reykjavík. They offer a good icelandic bread with pesto sauce, fried veggies and potatoes, spinach, avocado, pickled onions and salad! All are made from high quality greens and really delicious. Salad dishes start from 1690kr. They also have a Vegan Surprise listed as an option on menu. Try if you are feeling lucky! It is located on Skólavörðustígur 22 in Reykjavik city! 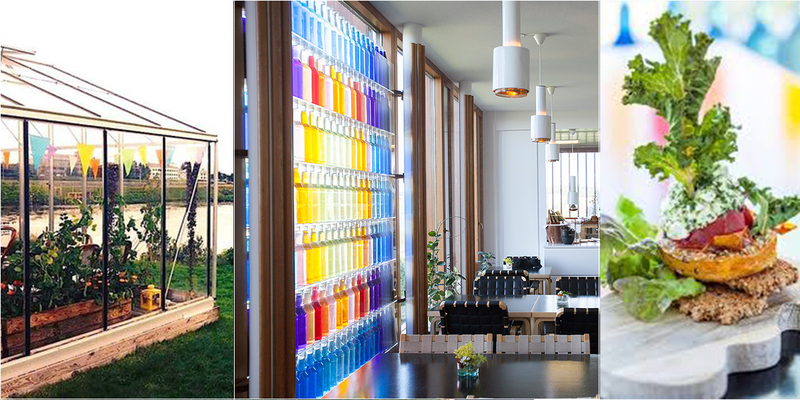 This colorful designed cafe offers a vegan main course and two kinds of vegan dessert every day. Matarkistant is a little bakery. They offer daily soup like italian tomato soup, pumpkin soup and they are always vegan. Besides vegan soups, they also have small vegan cakes in the store. This cafe is located on a corner of Melhagi and Hofsvallagata. Kaffihús Vesturbæjar is a well-designed cozy café that is absolutely worth the detour for a taste of the local icelandic life. 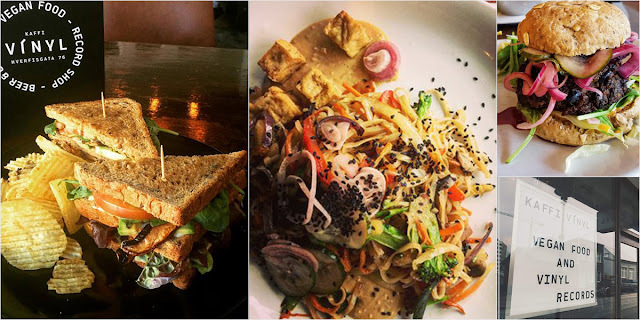 They offer vegan desserts, soups, burgers, breads and salads with microgreens, avocados, blueberries and more… We highly recommend to try this place. Everything was fresh and wonderful! Here, all the brews are certified vegan by the brewmaster. 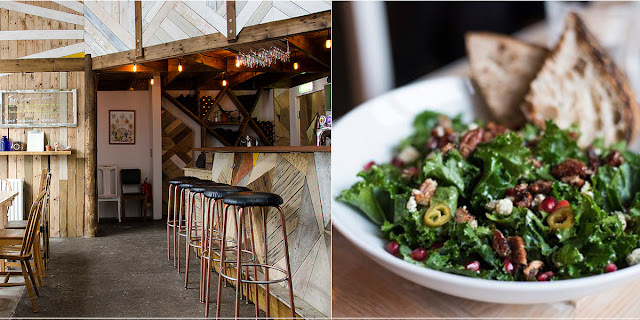 They offer vegan club sandwiches, portobello mushrooms, fried veggies, crispy kale, avocado and more! This small family cafe is located on Skólavörðustígur 2 in Reykjavik. 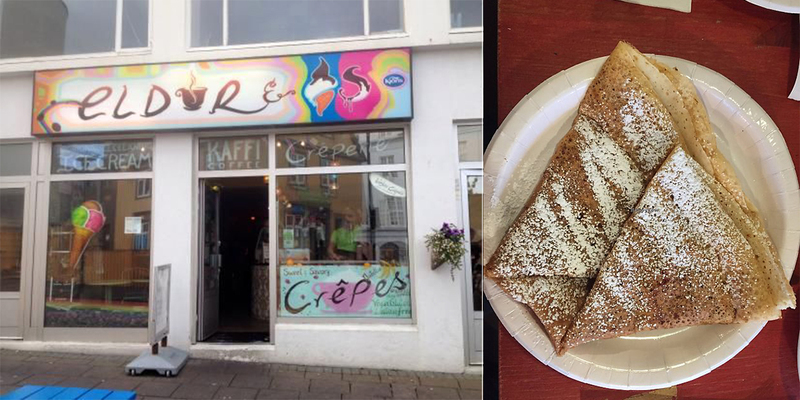 You can eat gluten-free and vegan crepes here. They also offer almond, soy, coconut, rice milk and more. 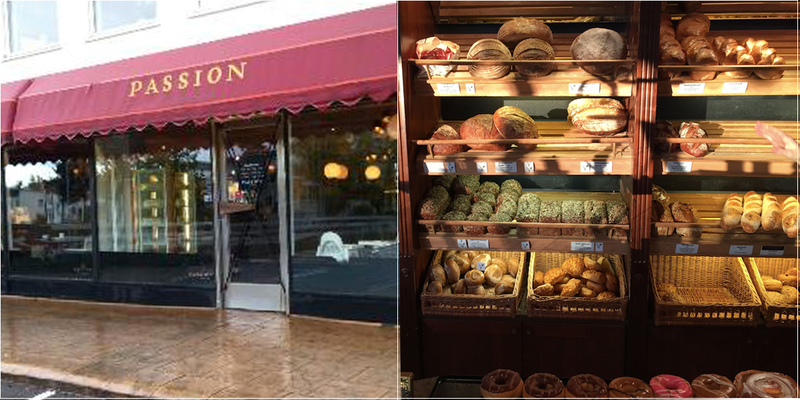 This local bakery offer delicious vegan breads, toast, sandwich, sweets and finest coffee! Everything was soo delicious, don’t pass this place for a good breakfast! 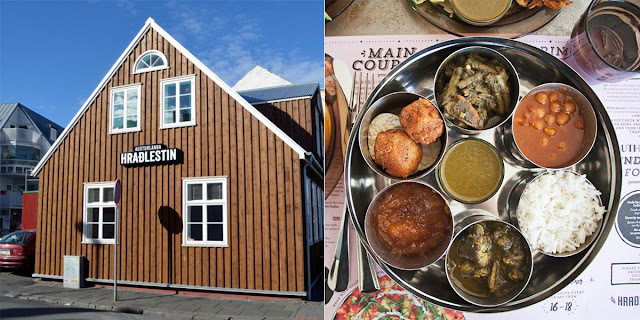 Hraðlestin is a plant based indian restaurant. They offer tomato and carrot soup, rice, noodle with masala sauce or coconut curry sauce and more. They don’t use msg or sugar in their products. So you can eat without worrying.